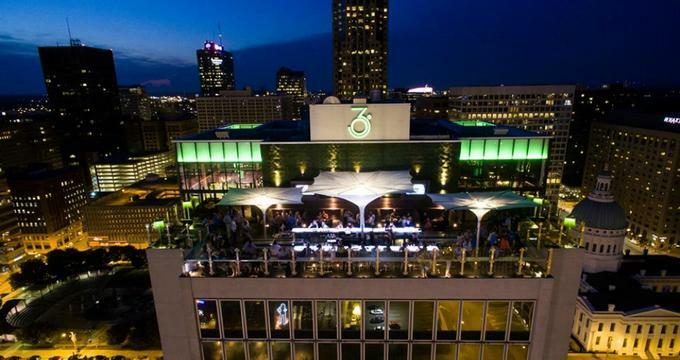 Three Sixty is a rooftop restaurant and bar positioned 400 feet above ground level in St Louis, MO. The restaurant offers indoor and outdoor seating options with a unique 360-degree view of the cityscape. · Drinks – Cocktails and beer offered by the tap and by the bottle. Sparkling wines, white wines, reds wines, and pink wines offered by the glass and by the bottle. Small groups do not need reservations to dine at Three Sixty as the restaurant follows a first-come first-served policy for seating guests. However, a large party with more guests need a prior reservation to be seated upon arrival. The restaurant requires a minimum food-and-beverage order to be pre-contracted for reserving space for a large group. The restaurant's minimum policy on booking reservations varies by group size, date, and time of the gathering. Three Sixty's events team organizes several corporate and private gathering events upon prior booking. 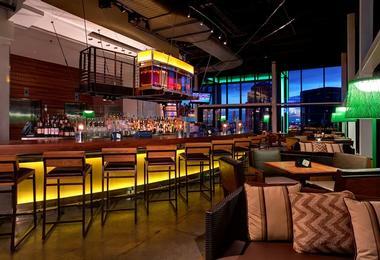 Guests get to choose from indoor and outdoor seating areas in the restaurant’s Northside, Southside, Eastside, and Westside spaces that include a fire pit, booths, tables, a fire bar, and a stadium bar in each of the directions. Three Sixty organizes live performances, private musical events, meet and greet occasions, beer tastings, cocktails and delicious bites events, upbeat shows, the Annual Rooftop Rally, Sip into Spring, Derby Day, The Arch’s Anniversary celebration, fundraising events in support of a local community member, and many such special events at the restaurant from time to time. 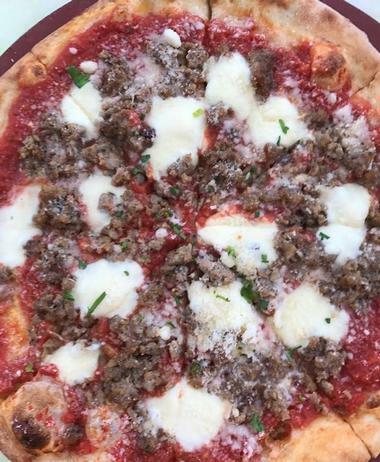 Some of the ongoing events at the restaurant include happy hour Monday to Thursday from 4:00pm to 7:00pm and Pizza & Pinot every Friday from 4:00pm to 11:00pm. Three Sixty's gift cards ranging from $25 up to $100 can be purchased on the restaurant’s website, which accepts PayPal and credit card payments. Gift cards are shipped via USPS with a tracking number. Three Sixty operates 7 days a week Monday through Sunday. Monday to Thursday the restaurant is open from 4:00pm to 12:00am. Fridays and Saturdays the restaurant is open from 4:00pm to 2:00am. On Sundays the restaurant hours are from 4:00pm to 11:00pm. The restaurant opens at least 2 hours prior to game time during all Cardinal home day games.